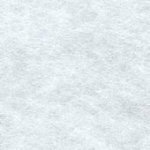 Nonwoven tracing material for altering, duplicating and designing patterns and crafts. 80 Polyester, 20 Rayon. White, 46" wide x 50 yards long. Freight Intensive Billable transportation charges for freight intensive items will be the greater of the dimensional weight compared to the actual weight. In addition to transportation charges, freight carriers may assess an additional oversize charge per package.